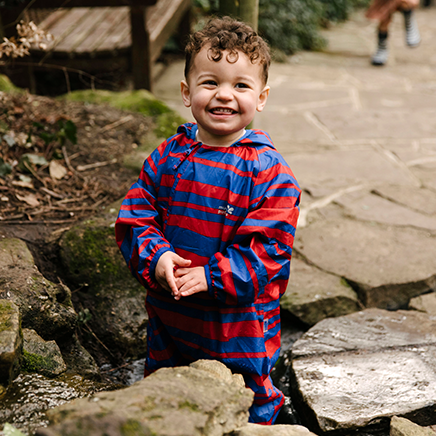 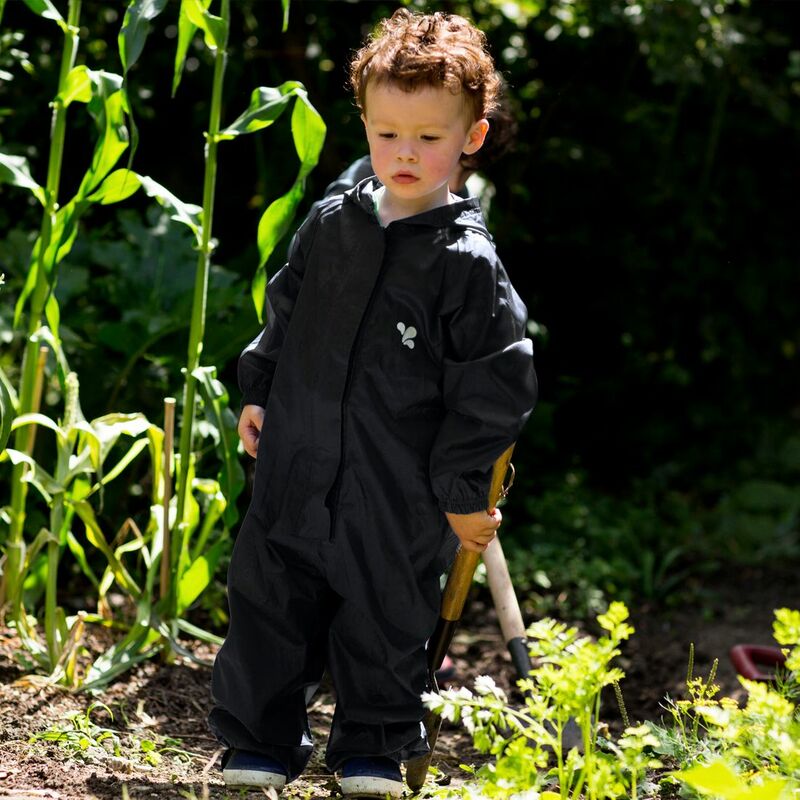 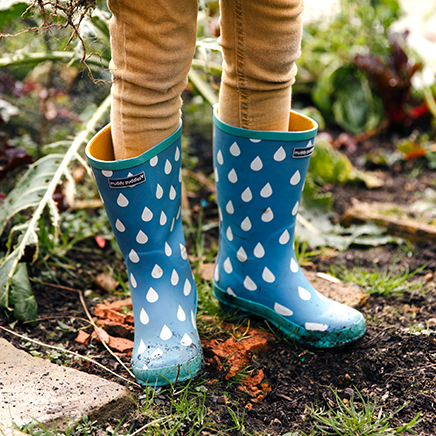 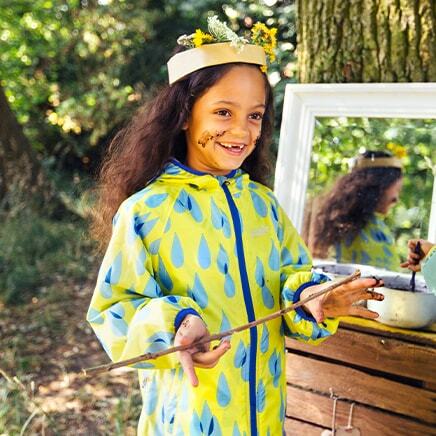 The Originals children's waterproof All-in-One is designed with nurseries, schools and forest school outdoor learning in mind. 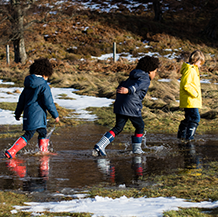 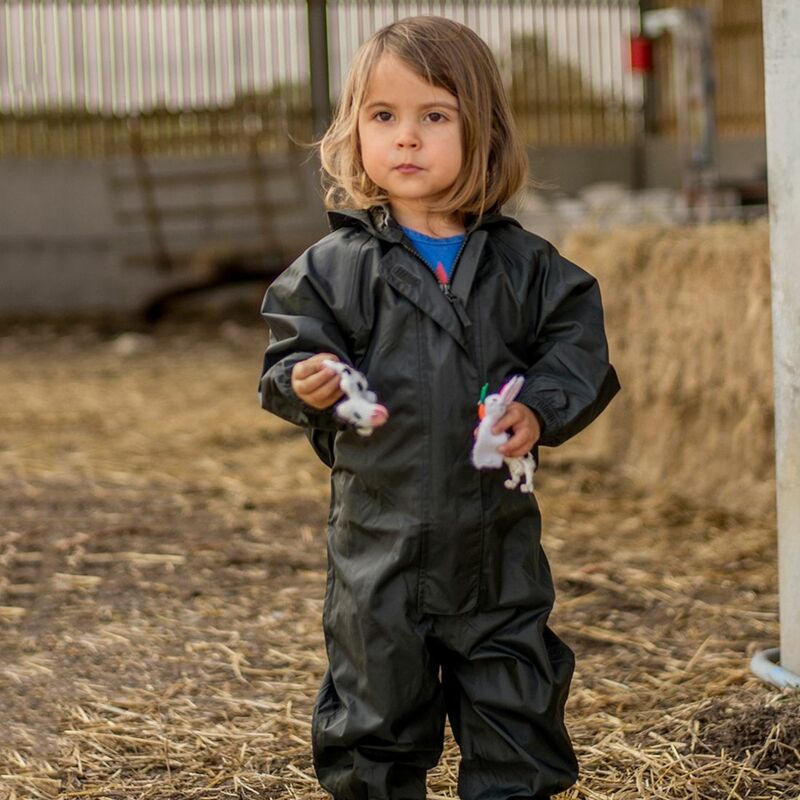 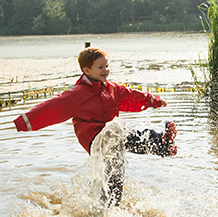 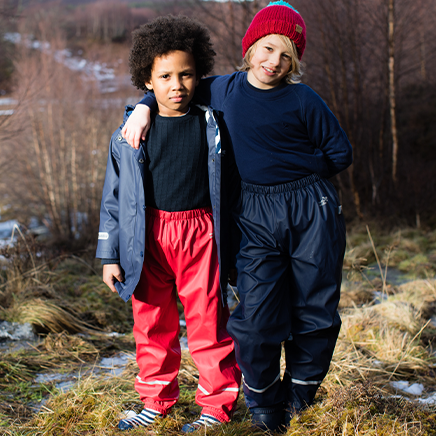 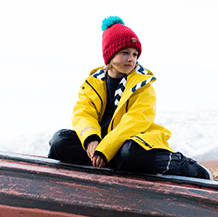 With fully taped seams to keep water out, adjustable underfoot stirrups with elasticated hem to prevent trousers riding up and an integrated hood, it keeps young explorers dry however many puddles they want to jump in and no matter the weather. 100% waterproof and windproof, the Originals All-In-One protects from rain, wind and mud all year round. 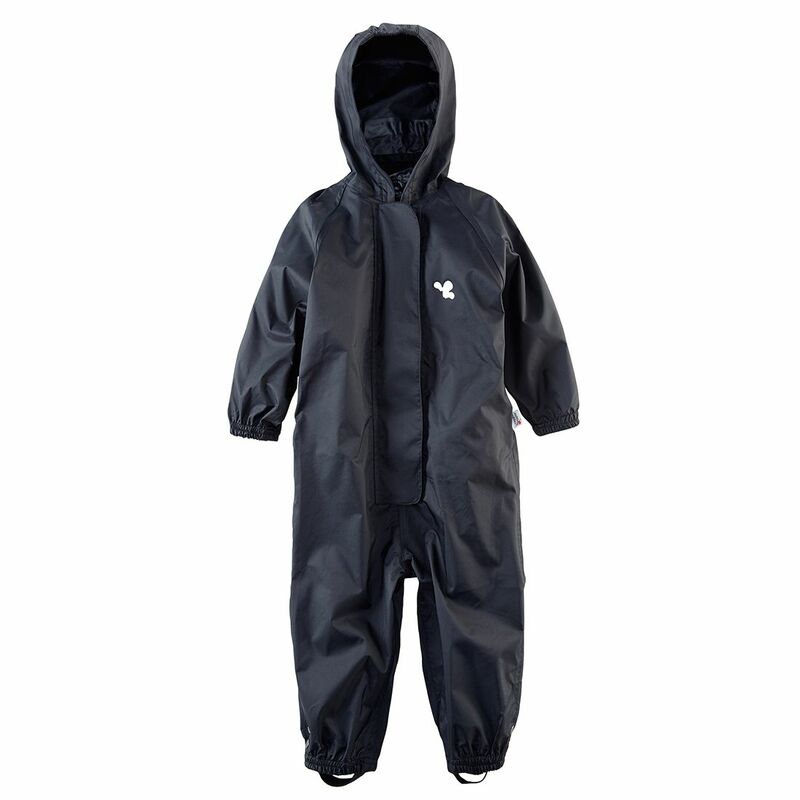 For more extreme swimmers, take a look at our Puddleflex range. 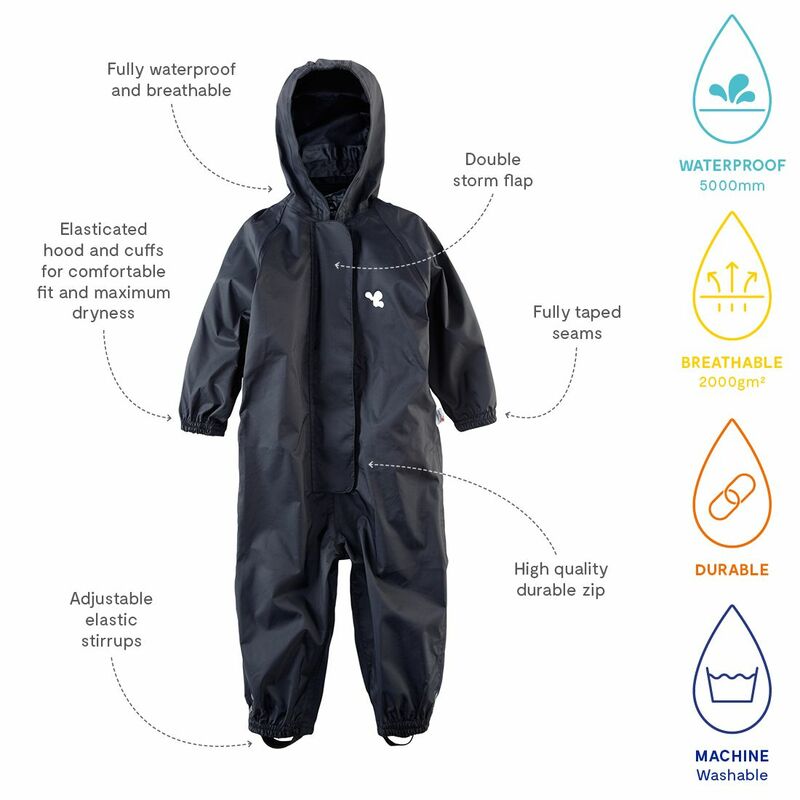 Good, but it’s a shame it doesn’t fold up into a pocket like the one it is replacing! 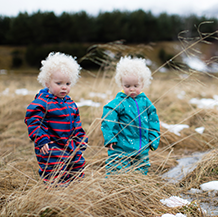 Roomy sizing so should last a while.